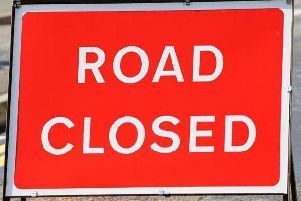 Information on road closures and restrictions across East Renfrewshire. Closure of a section of Ormonde Avenue, Netherlee between its junctions with Parklands Drive and Ormonde Drive to vehicular traffic to facilitate the safe operation of carriageway resurfacing works. Anticipated dates for the works are from Monday, October 15 until Friday, October 26. Pedestrian access will be maintained. Closure of a section of Burnfield Road, Giffnock from its junction with Fenwick Road to and including its junction with Torburn Avenue to vehicular traffic to facilitate the safe operation of carriageway resurfacing works. Anticipated dates for the works are from Monday, October 29 until Friday, November 9. Pedestrian access will be maintained. Closure of Glasgow Road, Eaglesham from its junction with Humbie Road northwards to a point approximately 70m north of Belle Craig Roundabout to vehicular traffic to facilitate the safe operation of carriageway surfacing works. The closure will be in effect until October 21. Pedestrian access will be maintained at all times. Closure of sections of Ayr Road, Newton Mearns between Eastwood Toll and Davieland Road to vehicular traffic to facilitate the safe operation of carriageway surfacing works. The closure will be in effect until October 21. Pedestrian access will be maintained at all times. Closure of Robertson Street, Barrhead between its junction with Cross Arthurlie Street for a distance up to 60 metres to vehicular traffic to facilitate the safe operation of building works on the adjacent property. The closure will be in effect until November 11. Pedestrian access will be maintained at all times.